Warren Gatland says "things are in our own hands" as Wales begin preparations for a Six Nations showdown against England. Wales, unbeaten for a year and with two home games to come in this season's tournament, will maintain hopes of a first Grand Slam since 2012 if they topple Eddie Jones' side on February 23. But Gatland also knows the size of Wales' task when they meet a team undefeated against them in Six Nations contests since 2013. "I thought the England performance against Ireland was the best I have seen from an England team in the last five years," said Wales head coach Gatland. 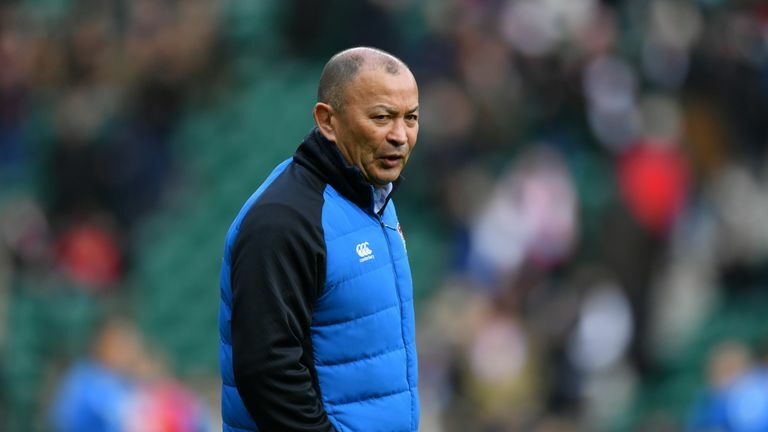 "We have probably helped ourselves a little bit by not playing as well as we could have [against Italy], and as a result everyone will start talking about England, talking England up, and sometimes that is easier to help motivate yourself if that does happen. "Things are in our own hands, with two big home games to come [against England and Ireland]. "It will be electric in the Principality Stadium and it gives us a chance to be at home. Once you are on a run like this [11 successive wins], you don't want it to go. "The nice thing is we have two weeks together in the build-up to the England match and we are excited about it. "Having two weeks together will be good for this group of players but we have a few things to work on, which is always pleasing, and a couple of really tough weeks of training." "England is going to be a massive crunch match," said the Berkshire-born Scarlets forward. "It should be one hell of a game. "We know Wales against England is always a massive fixture, and to be fair to them, they are playing some excellent rugby. "We know it's going to be one hell of a challenge." And Ball, who started alongside Alun Wyn Jones in Wales' second row that day, added: "To lose a game like that was gutting from a personal point of view, and I know the boys won't want to feel like that again. "Our best rugby is still to be played. Maybe at times it hasn't been pretty but against Italy we ground out a result and we are pleased with two wins on the road." "Thinking about later in the year, the World Cup and preparation, we saw it as an opportunity for the first two games trying to replicate a similar situation we will have in Japan," Gatland said. "Look, if I had it over again you might question if it was the right thing to do to make so many changes, but we have done that and got the win. "You question if you kept the same team and had a real convincing win in terms of finishing off those opportunities we created, maybe the other question would be why didn't you use more of the squad when you had the chance to? "Hindsight is a great thing. For us to get two victories and two away wins is an outstanding start."